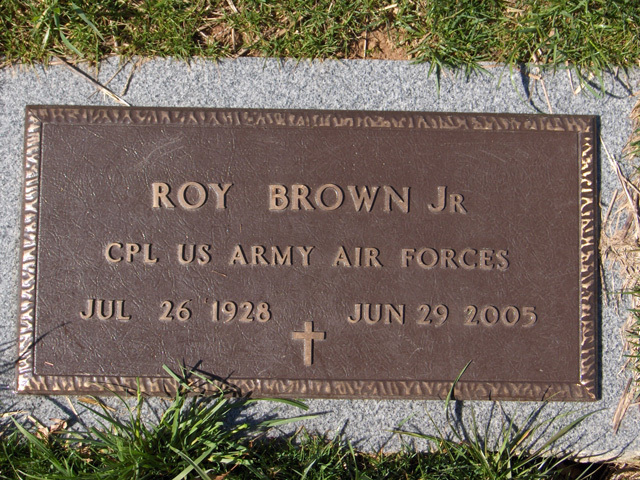 Roy Brown Jr., age 76, of Marble Hill, MO, passed away June 29, 2005 at his residence. 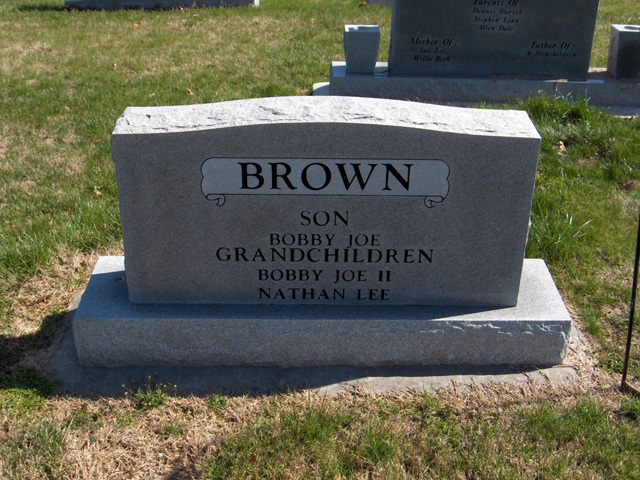 He was born July 26, 1928 in Marble Hill, MO, son of Roy and Eula Nanney Brown. He and Lois E. Stevens were married on July 29, 1950 and she preceded him in death on Dec. 8, 1996. He later married Ann Phillips on August 19, 1997 in Paducah, KY. He worked as a and was a member of the Haven of Hope Pentecostal Church. Survivors include; his wife Ann, one son Bobby Brown, Marble Hill, one stepson Billy Piercey, Jackson, MO, one step daughter Jacky Piercey, Cape Girardeau, two brothers, Howard Brown Scopus, MO, Bill Brown, Tivoli, TX, four sisters Ester Garner Scopus, Margie Stevens, Marble Hill, Lavern Cloninger and Katherine Borders both of The Dalles, OR, and four grandchildren. 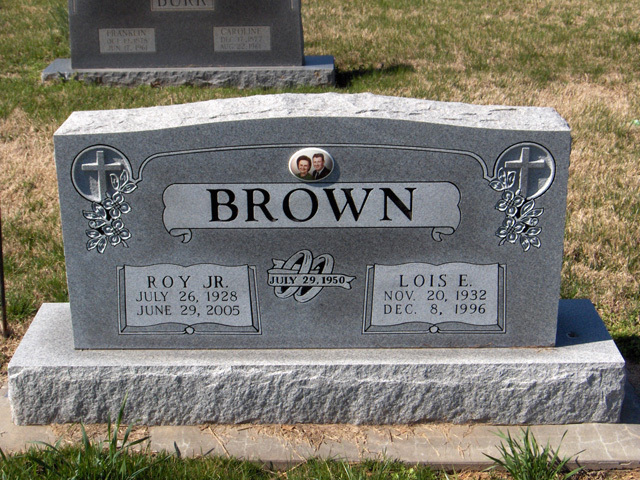 He was preceded in death by his parents and two brothers, Floyd and Lester Brown. Friends may call at the Liley Funeral Home in Marble Hill from 4:00 � 8:00 PM Friday, July 1, 2005. Funeral service will be Saturday at 10:00 AM at the Funeral Home with the Rev. David Jackson, Rev. Tom Jackson, and Rev. Jeff Wells officiating. Burial will follow in the Bollinger County Memorial Park Cemetery with Full Military Honors provided by the Missouri Honors Team.